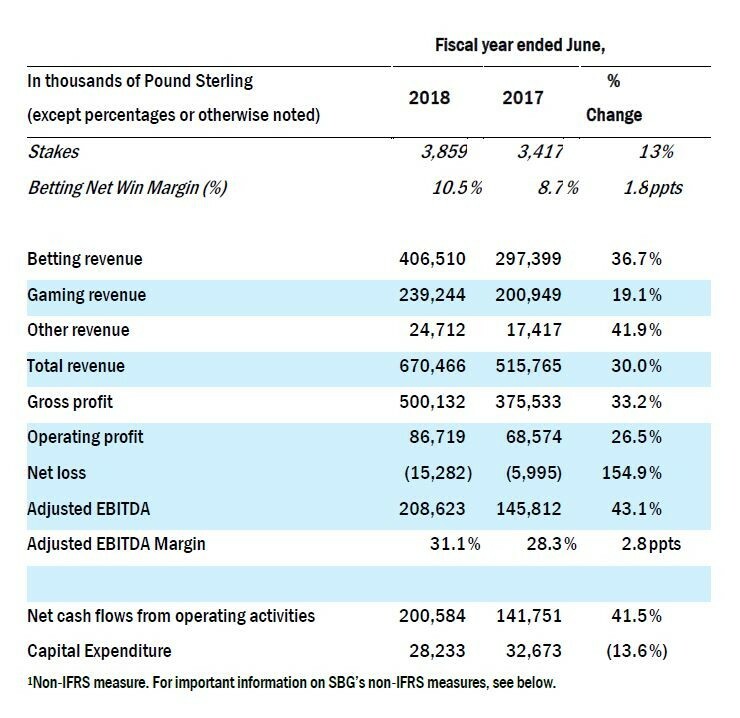 The Stars Group Inc. (NASDAQ: TSG)(TSX: TSGI) today provided certain supplemental historic financial information and additional highlights and updates for Sky Betting & Gaming (“SBG”), and filed a business acquisition report with respect to its acquisition of SBG, including SBG’s audited financial statements for its fiscal year to 30 June 2018. “The 2018 fiscal year was another strong year for SBG, with continued product leadership and innovation. We enjoyed another year of growth, extending our leadership as the UK’s most popular online betting and gaming brand. We also continued our investment in brand, technology and people, and continued delivering innovative products that meet the needs of our customers, all of which we believe combined to drive strong operating results. “I am also particularly pleased with the progress we made to deliver a safer gambling environment to our customers and to continue our record of job creation and investment in Yorkshire, as well as our contribution to regional and national taxation in the UK.